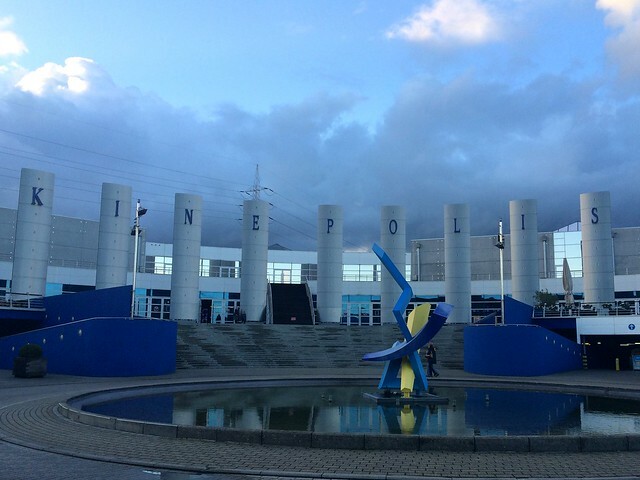 Kinepolis Antwerp under a threatening sky. This tips ‘n trips post might not be that interesting for those who do not live in Flanders or Holland (sorry guys ! ), but as I was pleasantly surprised by this trip, I want to do a post about it. 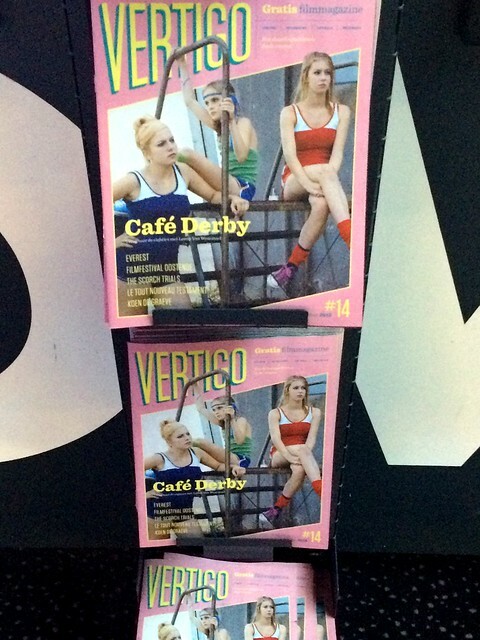 A couple of weeks ago I entered a competition from the magazine Flair to win 2 film tickets for the debut of film director Lenny Van Wesemael : “Café Derby“. So you can imagine I was quite excited when last week I got a text message to congratulate me for winning two tickets. As my husband doesn’t particularly like going to the cinema and my daughter Charlotte is quite the film-fan, it was obvious that she would be my plus one. Charlotte is studying to be an assistant director at the Rits in Brussels. She wants to see anything on the screen, big or small, as she wants to learn and see as much as possible. She has already worked on film and television sets as an intern and the more she does this kind of work, the more she realises that this is what she wants to do as a job. 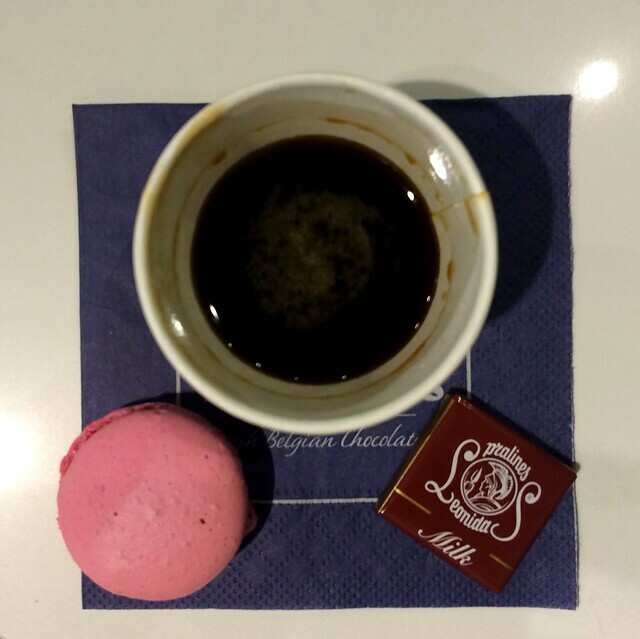 After a quick espresso and macaron break at the Leonidas Chocolate Café in Kinepolis (and after buying the needed sweets to get us through the film), we quickly took our seats in the cinema to enjoy our film evening. Chloë Daxhelet, the girl who plays the part of Sara, is the girl with the green top. “Café Derby” is a touching, funny and honest film that I can recommend to anyone. The audience is really drawn into the story. That was mainly because of the cinematography (I especially liked the use of those strong, horizontal images! ), the editing (which really appealed to the emotions) and the strong acting performances of both Chloë Daxhelet (Sara) and Wim Opbrouck (Georges). So thumbs up to the cast and crew of this beautiful Flemish film ! This film is now to be seen in Flanders and probably in some Dutch cinema’s as well. This entry was posted in Belgium, Travel and tagged cafe derby, flair, kinepolis.